Invitation to Press Preview, 15 May, 13.00. Picasso on a Plate. Ceramics 1948-1971. Invitation to Press Preview, 15 May, 13.00. The Röhsska Museum is showing the exhibition Picasso on a Plate. Ceramics 1948-1971 from 17 May – 28 September 2014. The grand opening is on Saturday 17 May at 13.00 CET. 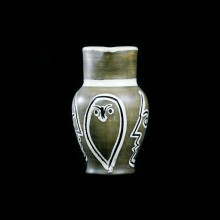 The exhibition presents around 70 ceramic pieces, designed by Picasso and produced in limited editions. The exhibition also includes some 20 posters and linocuts by Picasso. Reinvitation to Press Preview, 15 May, at 13.00 pm. Picasso on a Plate. Ceramics 1948-1971.